MOTIVATED SELLER! Move-in ready; won't last long! A beautiful 2-story home located in Bethany Bay, a community rich with amenities! Enjoy pond views and golf vistas -- a peaceful and serene setting. The house has been recently painted throughout and new Pergo flooring that reminds you of driftwood installed on the 1st floor; new carpeting installed on the 2nd floor. Floorplan offers an open coastal style plan with a 2-story living/dining area, eat-in kitchen and 1st floor ensuite; 2nd floor offers 3 large bedrooms and a full bath. You will enjoy the private rear deck and screened porch to enjoy the "protected" woodland views plus a large 2-car garage. 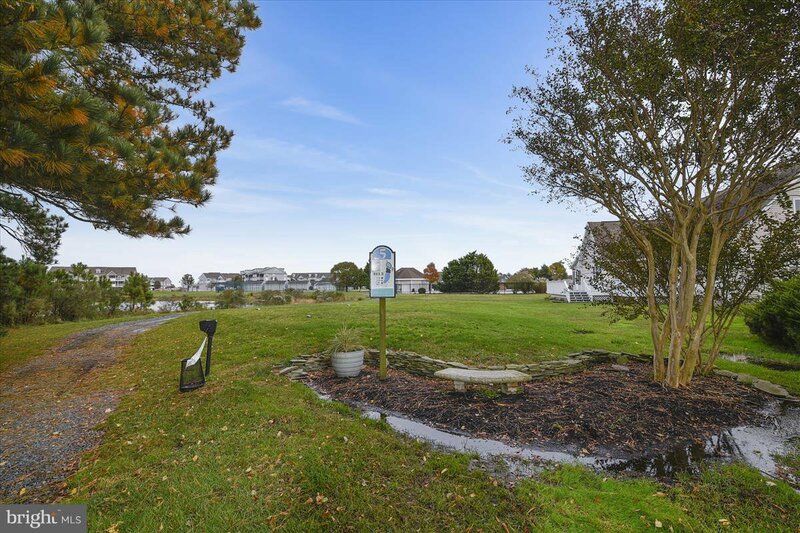 Enjoy maintenance-free condo-style living plus pool, boat ramp, golf course (pay as you play), walking trails and the Indian River Bay. Condo association maintains the exterior of the home and cuts the grass. Relax and enjoy this truly special home waiting for you!